Our Therapists | Center for Attachment & Trauma Services, Inc.
Dr. Lear is a Licensed Marriage & Family Therapist and has a doctoral degree in Clinical Psychology with a concentration in Somatic Psychology and Prenatal & Perinatal Psychology. Dr. Lear also completed a two-year fellowship in Infant-Parent Mental Health at the University of Massachusetts in Boston. She is the Executive Director of the Center for Attachment & Trauma Services, Inc. and is certified in non-profit organization development. Dr. Lear is trained in Eye Movement Desensitization and Reprocessing (EMDR), Dyadic Developmental Psychotherapy (attachment-focused family therapy), Emotional Freedom Technique (EFT), trauma therapies, treatment of perinatal mood disorders, infant massage, and the Newborn Behavioral Observations System. She has been an International Board Certified Lactation Consultant (IBCLC) for over twelve years. Dr. Lear works with clients of all ages, including newborns and their parents. She is experienced working with children who have been adopted or placed in the foster care system. She conducts attachment/bonding/parental capacity evaluations and testifies as an expert witness in the areas of child development, attachment, trauma, infant-parent mental health, and lactation. Dr. Lear is experienced in developing co-parenting plans for separated or divorced parents. Her infant-parent mental health practice includes breastfeeding, perinatal mood disorders, perinatal bereavement, infant attachment, and infant-parent mental health. Dr. Lear believes it is never too early (or too late) to influence brain development and modify behaviors which support the development of healthy relationships. 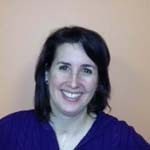 Erin Daly, LCSW, is a therapist with the Center for Attachment & Family Services. Throughout her career, she has worked with individuals of all ages and is particularly passionate about working with children, adolescents and families. Her experience includes providing therapy to those affected by trauma, attachment disruption, parent/child relationship struggles, depression, grief/loss, anxiety, social skills deficits, and difficulties with affect regulation. She utilizes a variety of approaches to meet the specific needs of the individuals and families with whom she works. Erin has been trained in EMDR, sand tray therapy, and various play therapy modalities. She is a current Fellow with the University of Massachusetts, Boston Infant-Parent Mental Health Program. An aspect of the therapeutic process Erin enjoys most is witnessing individuals gain confidence in their strengths, abilities, and self-worth. She strives to create an environment in the therapy room that supports this growth. Amy Peterson, LCSW, is experienced in facilitating individual, group, and family therapy. She has been with CATS since 2011. With a Bachelor of Fine Arts in Theatre, Amy uses a playful approach, particularly when working with younger clients. She has a Masters in Social Work from Virginia Commonwealth University. Passionate about education through public speaking, Amy has extensive experience presenting to clients and professionals at local and national venues. Additionally, Amy views interdisciplinary collaboration among professionals (the “team” effort) to be imperative for many clients. Amy describes her therapeutic approach as attachment focused, trauma informed, strengths based, and family systems oriented. She enjoys working with children and their caregivers, individuals, and families. Amy is an optimist and believes everyone possesses the power to discover, develop, and express full potential living. 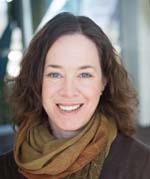 Bethany Vanderbilt, LCSW, is a licensed clinical social worker with the Center for Attachment and Trauma Services. Bethany has an extensive history working with children of all ages and their families, which began during her master’s program at the Smith College School for Social Work. She has taken a particular interest in working with mothers/caregivers and young children, obtaining a Post-Graduate Certificate in Infant-Parent Mental Health from UMASS-Boston, and completing Karen Kleiman’s 12-hour Post-Graduate Training Program at the Postpartum Stress Center. Additionally, Bethany has received intensive training through the Pacific Gestalt Institute and takes a relational approach to interactions with all of her clients. 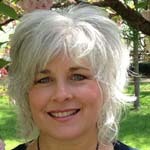 Bethany believes in the power of connection: connection to one’s own inner sense of self, connection between caregivers and their infants/children to build healthy attachment patterns, connection between couples in the midst of parenting, and the healing connection that can occur through therapy. She is beginning training in EMDR and is looking forward to incorporating this into her practice moving forward.